ARM development boards facilitate the development of ARM-based applications. Critical Link provides several System on Modules (SOMs) that utilize ARM9 processors: the MityDSP-L138 (OMAP), and the MitySOM-1808 (Sitara). 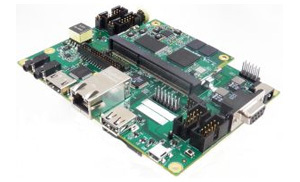 It offers a development kit that includes the hardware and software needed to design and prototype an ARM-based application. 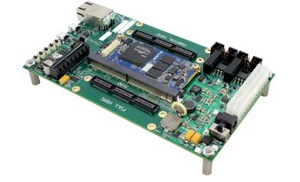 For applications that are going into production, Critical Link offers its production-ready Industrial Interface Board. 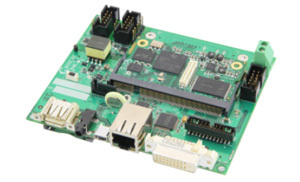 This board is purpose-built for industrial applications, and features a socket designed to receive the MityDSP-L138 and MitySOM-1808 modules. Basically, development boards are printed circuit boards that contain the microprocessor of interest, and the support logic, required for an engineer to familiarize themselves with the microprocessor. They are used as test boards to demonstrate microprocessors, and as reference designs. ARM development boards use ARM – Advanced RISC Machines – microcontrollers. These are high-performance, 16/32 bit RISC Core machines. They are extremely fast and provide significantly more processing power than the legacy 386 Intel processors. Most ARM7 cores operate at speeds of 60Mhz, while ARM9 cores operate at speeds of 150Mhz and higher. ARM development boards are used for ARM-based software development, to test logic blocks or system IP in an FPGA environment, to evaluate CPU architecture, and for hardware and software design.